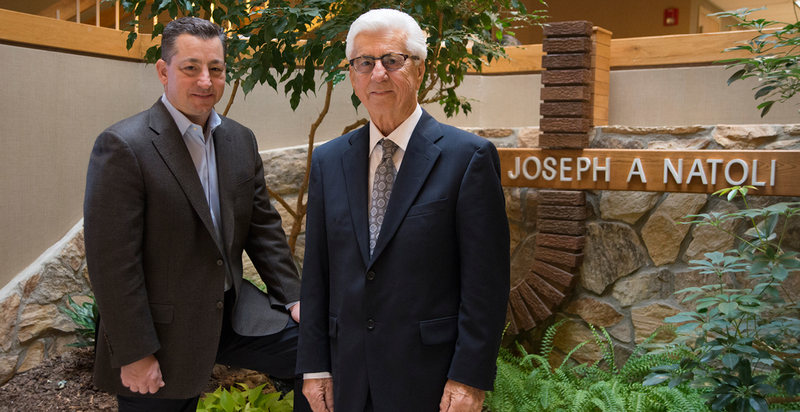 In 1975, Joseph Natoli founded Joseph A. Natoli Construction as a general contracting firm dedicated to the highest standards of integrity, expertise, and hard work. By faithfully adhering to these principles, our company has grown to become one of the most respected firms in the construction industry. Building commercial, industrial, and institutional projects throughout the Tri-State area, Natoli Construction has forged a solid relationship with owners, design professionals, subcontractors, and suppliers. Our company has extensive experience in all project delivery methods including construction management, design-build, firm-fixed cost and preconstruction, and is classified with the State of New Jersey to perform general construction and historic restoration. We have the ability and skills to self-perform our own work when necessary. 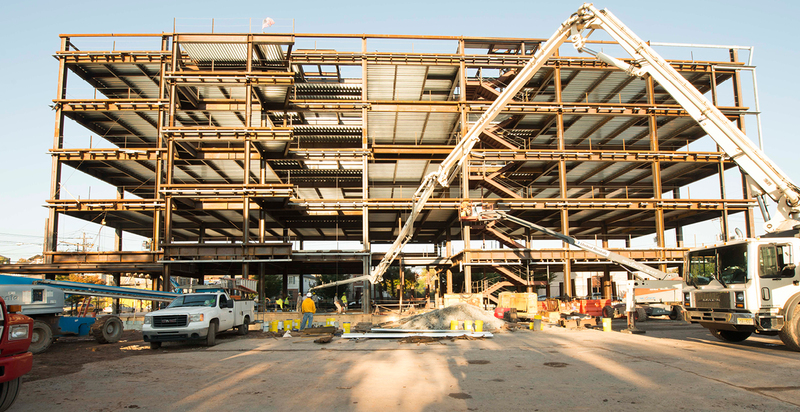 Our motto “Performance From the Ground Up” rings true on every project that we undertake. Our prestigious client list includes such esteemed owners as the New York Football Giants, Rutgers University, and the National Park Service. We are proud to have built some of the most prestigious projects in the Tri-State area including over 20 years of stewardship at the Statue of Liberty National Monument. Our long-standing relationships reflect the hallmark of our business; we are dedicated to unmatched service and client satisfaction. We are a nationally recognized firm, having won numerous awards like the Grand Award for Best Masonry Project in North America (International Bricklayers and Allied Craftsmen) for The Sheraton Tara Hotel in Parsippany, NJ. Located in Pine Brook, New Jersey, Natoli Construction continues to expand its reputation in the industry for performance, honesty, and integrity. With our experienced staff and pristine track record, Natoli Construction moves boldly forward into the future, continuing our legacy of performing the finest work in the construction industry. "We remain immensely pleased with Mortensen Hall. The atrium has become the new social hub for Mason Gross students, and the high quality construction has made all the difference. Natoli Construction does terrific work." "Natoli Construction is committed to supporting non-profits like the Y with comprehensive projects that serve our members, as well as contributing to our Annual Campaign to support the needs of the community. The firm always delivers a high quality project that is completed on time and on budget. We look forward to working with Paul Natoli and his staff in the future." 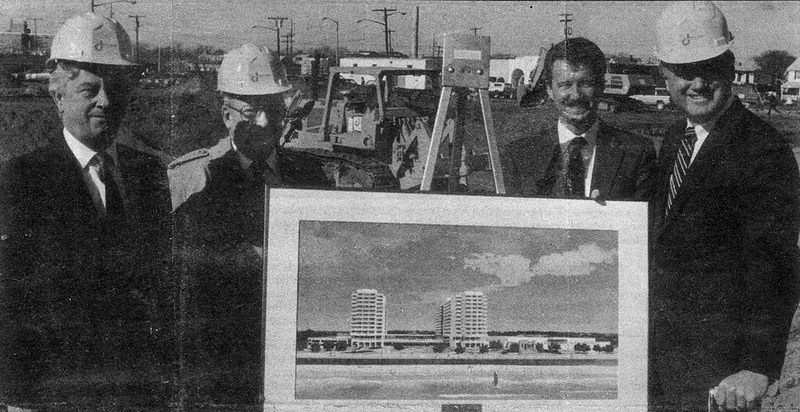 "For nearly 30 years, our parish family has insisted on Natoli Construction to execute our building dreams. From building our beautiful church to adding additions and major renovations to our sanctuary, their team is engaging, insightful, and always highly professional. But, more important to me is that, long after a project is completed, Paul Natoli is only a phone call away to follow up on my requests." 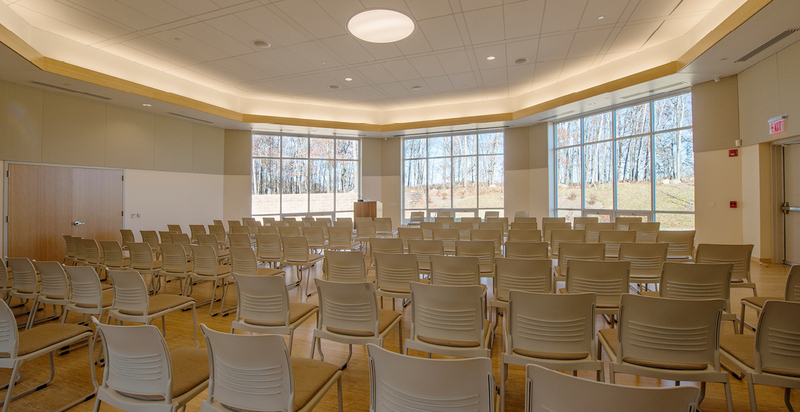 "Natoli Construction performed the extensive renovation of Morristown-Beard School’s Technology Center. They delivered the project on time and on budget – critical factors that will guide our relationship in the future." Our proud heritage: Honesty. Integrity. 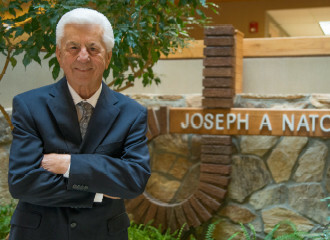 Joseph A. Natoli is the founder and chairman of Joseph A. Natoli Construction Corporation. Mr. Natoli founded Natoli Construction in 1975, and has over 50 years of experience in the building construction industry. 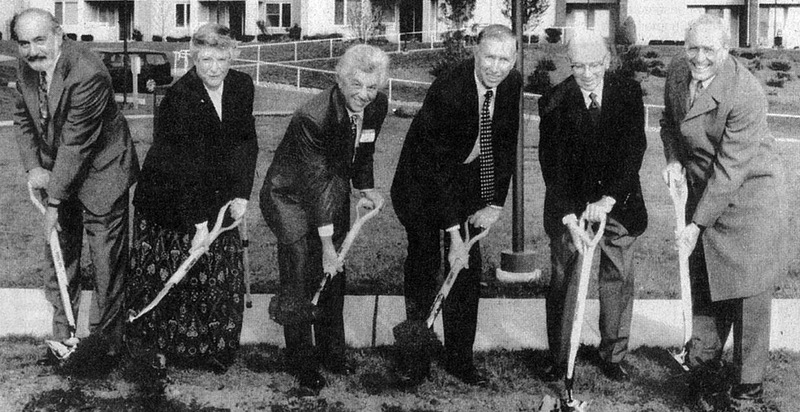 As the son of a mason contractor, Mr. Natoli entered the construction business at an early age. He attended Newark College of Engineering at night while serving as an apprentice in Local #2 of the Bricklayers, Masons and Plasterers International Union of America (BMPIU), now known as the International Union of Bricklayers and Allied Craftworkers (BAC). Before starting his own business, he worked his way up through the ranks as a journeyman, foreman, job superintendent, and vice president director of operations. 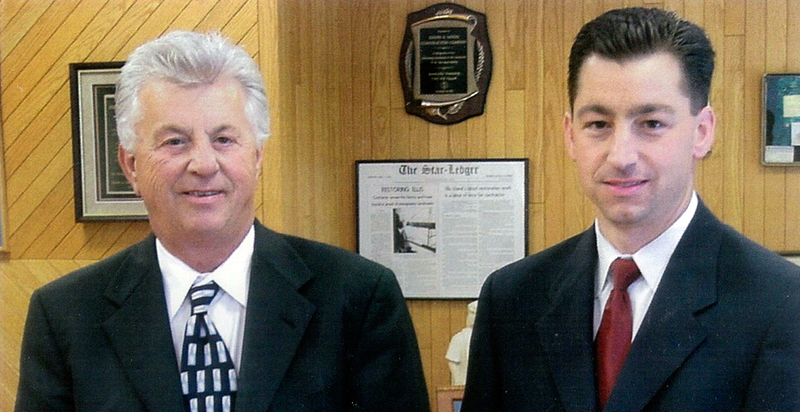 Over Natoli Construction’s forty-year history, Mr. Natoli has faithfully adhered to the principles of honesty and hard work, earning him and his company an impeccable reputation for performance, integrity, and unparalleled expertise. Under his leadership, Natoli Construction has grown to become one of the most highly respected firms in the New Jersey construction industry. 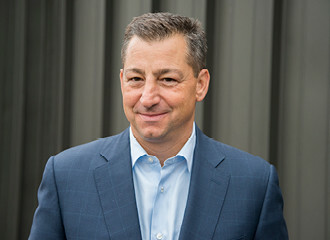 He has received numerous awards on the national, state, and local level, including the New Jersey Subcontractors Association’s General Contractor of the Year; the Morris and Sussex County Building and Construction Trades Council’s Construction Man of the Year; and, most recently, the American Subcontractors Association of New Jersey’s Lifetime Achievement Award. He has served as president of the New Jersey Building Contractors Association (now known as the Associated Construction Contractors of New Jersey) and as a trustee for the New Jersey Statewide Carpenters Fund, the New Jersey Operating Engineers 825 Fund, and the New Jersey Masons and Laborers Fund. Mr. Natoli is also very involved with many charitable and community organizations. Most notably, he served as the founding president of the Montville, New Jersey Chapter of UNICO, which grew under his leadership to be the largest UNICO chapter in the United States. The patriarch of his family, he is a proud father and grandfather. In his leisure time he enjoys big game sport fishing, for which he has won numerous tournaments, as well as woodworking and wood sculpture. Paul R. Natoli is President and Chief Executive Officer of Natoli Construction. Mr. Natoli is responsible for all aspects and operation of Natoli Construction. He takes a hands-on approach and is accessible to every client. After graduating from Purdue University in 1989, Mr. Natoli entered the construction industry and worked his way up the ranks to his current executive position. Under his leadership, Natoli Construction has completed many challenging and prestigious projects. Among them, major adaptive renovations of the Statue of Liberty, major infrastructure improvements and repairs to Liberty Island buildings and grounds following Hurricane Sandy, and construction of the New York Giants Headquarters and Training Facilities. Mr. Natoli remains active in the construction industry at large by participating in several local and regional professional organizations. He has served as the past president of the Building Contractors Association of New Jersey (BCANJ), as well as having served as a member of the New Jersey Institute of Technology’s Advisory Committee and the Rutgers University’s Construction Project Management Certificate Program Advisory Board. 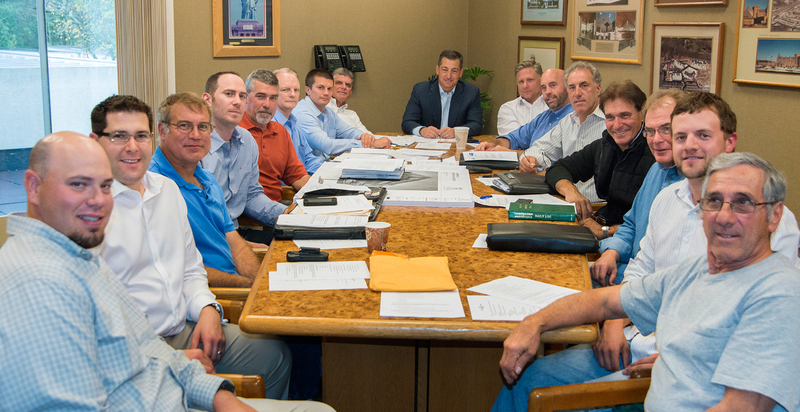 Currently, Mr. Natoli is a board member of the Associated Construction Contractors of New Jersey (ACCNJ). In addition to his active career and family life, Mr. Natoli has been a great friend to the Department for Persons with Disabilities’ (DPD) ministry of caring for people with disabilities. He has been actively involved in organizing and planning the Casey Classic as a member of the Casey Classic Committee, a Catholic charities agency under the Diocese of Paterson, New Jersey while also serving as coach for the Mountain Lakes Youth Lacrosse Program. He is currently President of the Board of Governors of Rockaway River Country Club located in Denville, New Jersey. 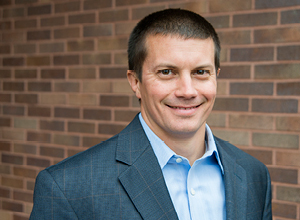 Thomas G. Sutphen, Jr., obtained his CPA license and MBA designation in 2001 and has over fourteen years of experience in the accounting profession. After graduating from Rutgers University in 2001, he began his career with Ernst & Young. In 2005 he joined Wiss & Co., where he provided auditing, accounting, and tax services to privately held construction companies. Mr. Sutphen joined the Natoli Construction team in October 2013 where he currently heads all of the financial and administrative aspects of the Company. Tom is a member of the American Institute of Public Accountants (AICPA), New Jersey Society of Certified Public Accountants (NJSCPA), and the Construction Financial Management Association (CFMA). He is also Treasurer of the Flemington Wrestling Association. We are dedicated to the highest standards of craftsmanship, expertise, and value. Natoli Construction is dedicated to the highest standards of craftsmanship, expertise, and value. These standards have been the bedrock of our work for four decades. Our services reflect this commitment from the beginning of a project through its completion. We create a culture of safety through communication, education, and training. 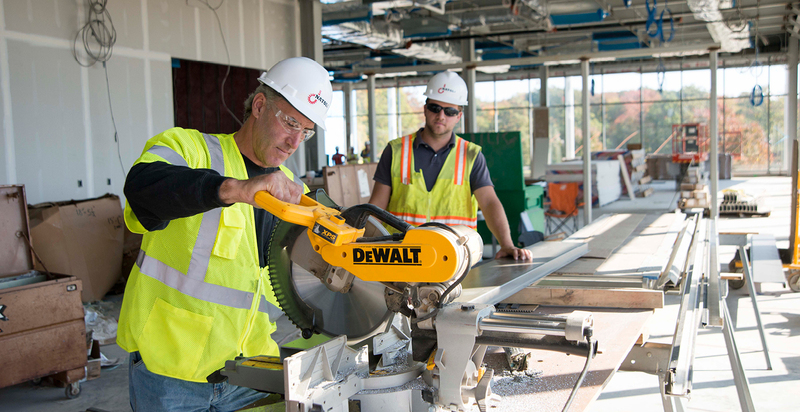 Natoli Construction makes safety awareness a top-down priority in its organization. 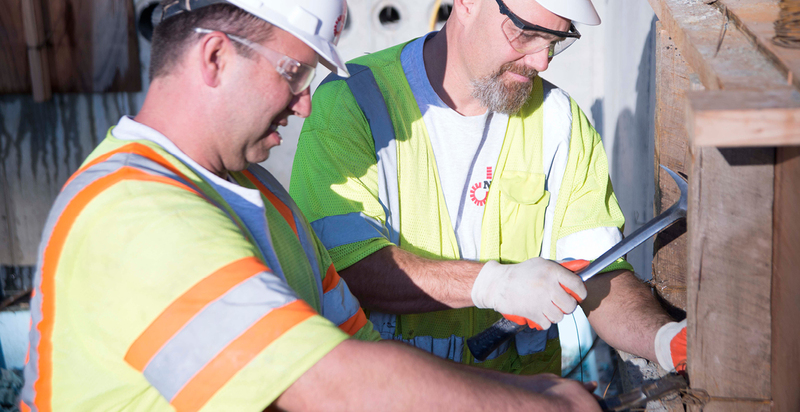 With an Experience Modification Rating (EMR) of below 1.0, Natoli leadership ensures a culture of safety through communication, education, and training. We possess an impeccable safety record and have won many awards for “zero lost work days” from the Associated Construction Contractors of New Jersey (ACCNJ). The company maintains an OSHA 500 hour in-house safety compliance officer who assures a safe workplace environment through weekly safety meetings, “toolbox talks”, and site inspections. 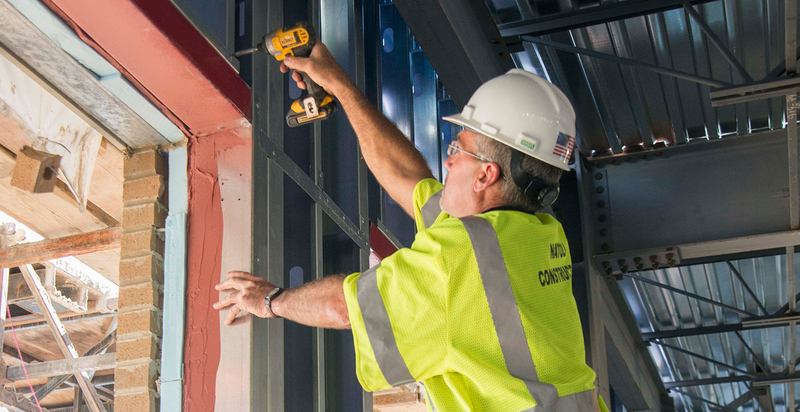 Additionally, Natoli Construction engages an outside independent safety consultant who performs frequent safety audits on all sites on an ongoing basis. 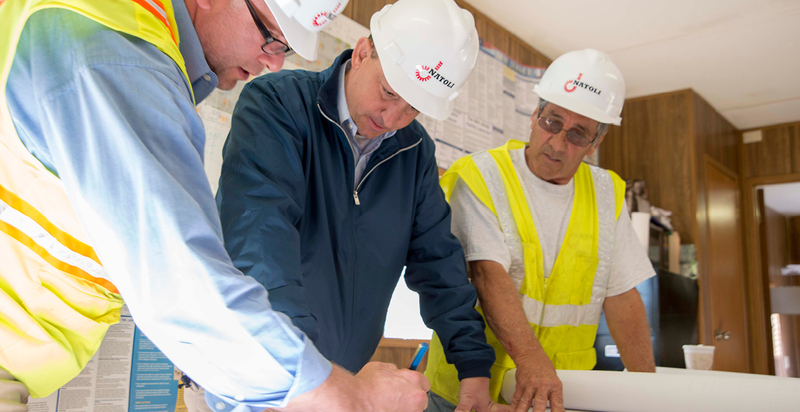 For each project, we implement site-specific safety plans that identify any unique hazards, particular areas of concern, and safety awareness. 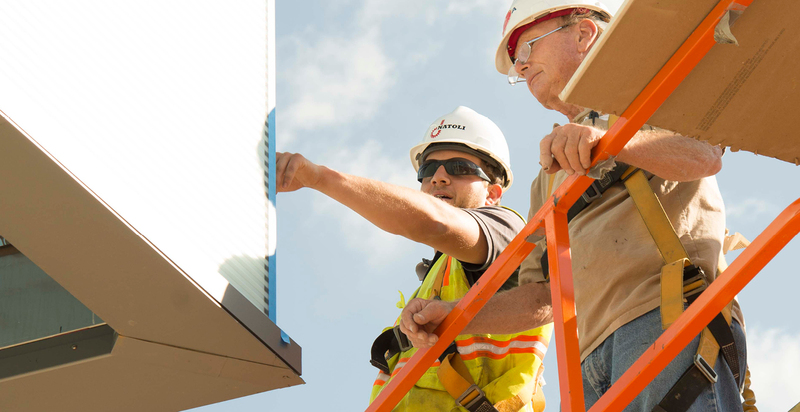 All on-site supervisors are a minimum of 30-hours OSHA-trained and all new workers go through on-site safety orientation. We also maintain a close relationship with the risk management department of our insurance carrier. 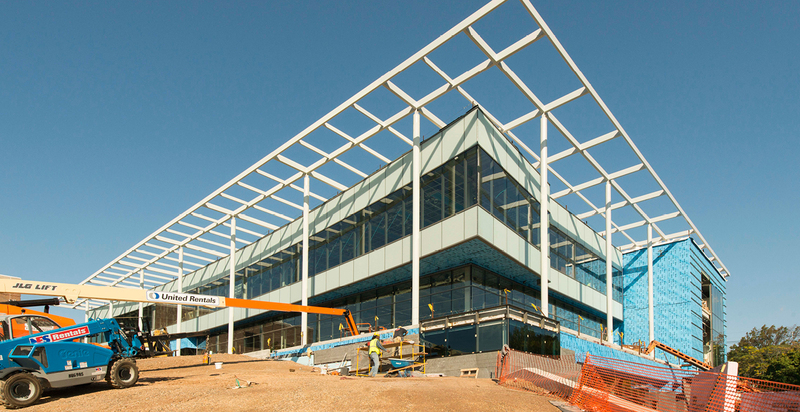 We are committed to the construction of sustainable, high-performing buildings. Natoli Construction has completed a number of LEED certified projects and has a project management team that is committed to the construction of sustainable, high performance buildings. 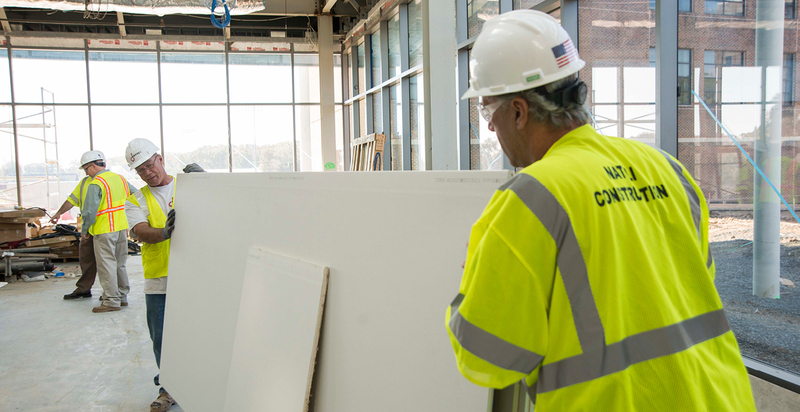 We recognize the importance of environmentally sensitive construction and are able to provide the resources and expertise to ensure strict compliance to energy design details. Natoli Construction has worked extensively on LEED certified projects, up to and including LEED Gold certification, that require specialized waste management and recycling systems, air quality control, and storm water management. Some of our recently completed LEED certified projects include the Upper School at Newark Academy and Wilke Hall at Morristown-Beard School.